Aspen… need I say more? Blog post done. Ok, I wouldn’t be a blogger if I didn’t have more to say than that. – ohhhh my gosh — did I really just call myself a blogger??? 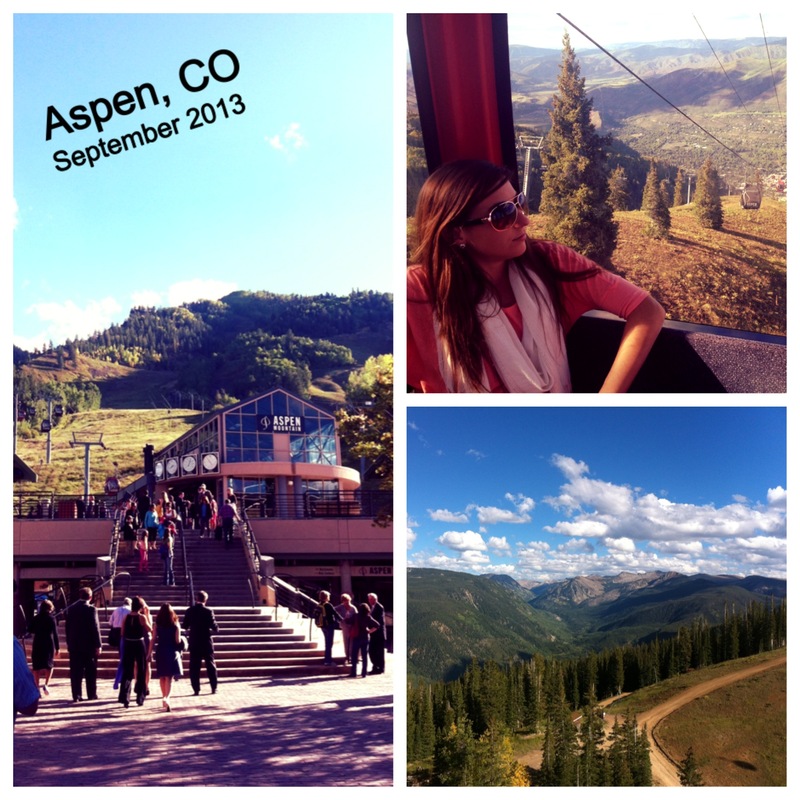 My Aspen experience is definitely worth sharing in a little more detail. I’m going to tell you about the weekend trip with a few lessons/random-thoughts-of-nothingness I learned from my trip. 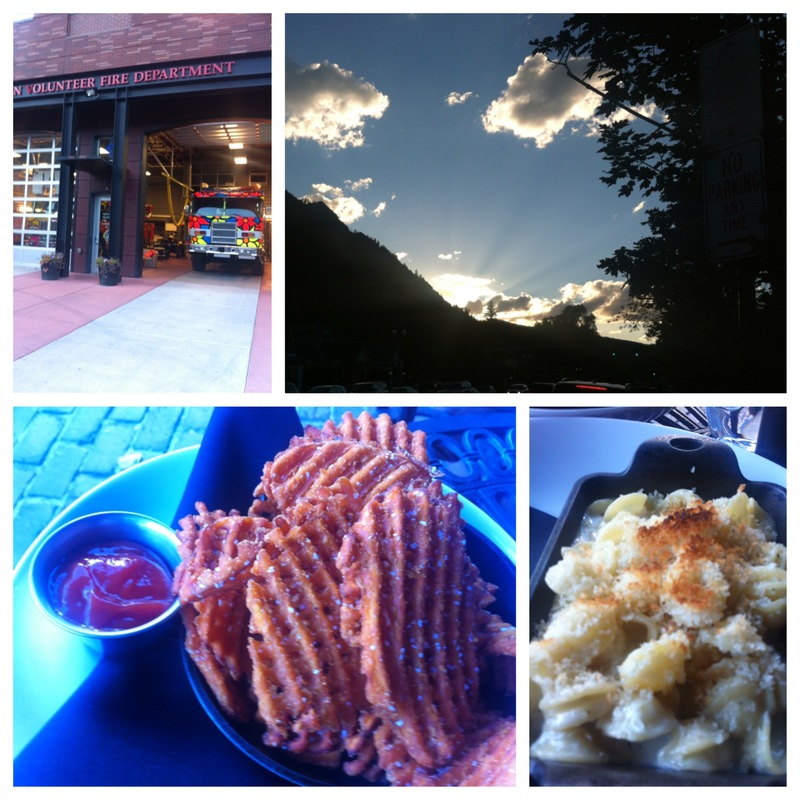 Lesson #1 – Aspen IS a fru-fru-over-the-top-tourist-trap. Gas was $4.99/gallon. Yes, 4 freaking 99 per gallon! Oh and I should add that it took us about 3.5 hours without stops (but really 5-6 with stops) to get there. If you go to the next town, gas drops about 50 cents. Then keeps dropping back to $3.50 +/- in Boulder. Lesson 1 – buy gas early. Lesson #2 – Watch out for the MOOSE. Or avalanches. Since it’s September, we only need to worry about the family of moose! 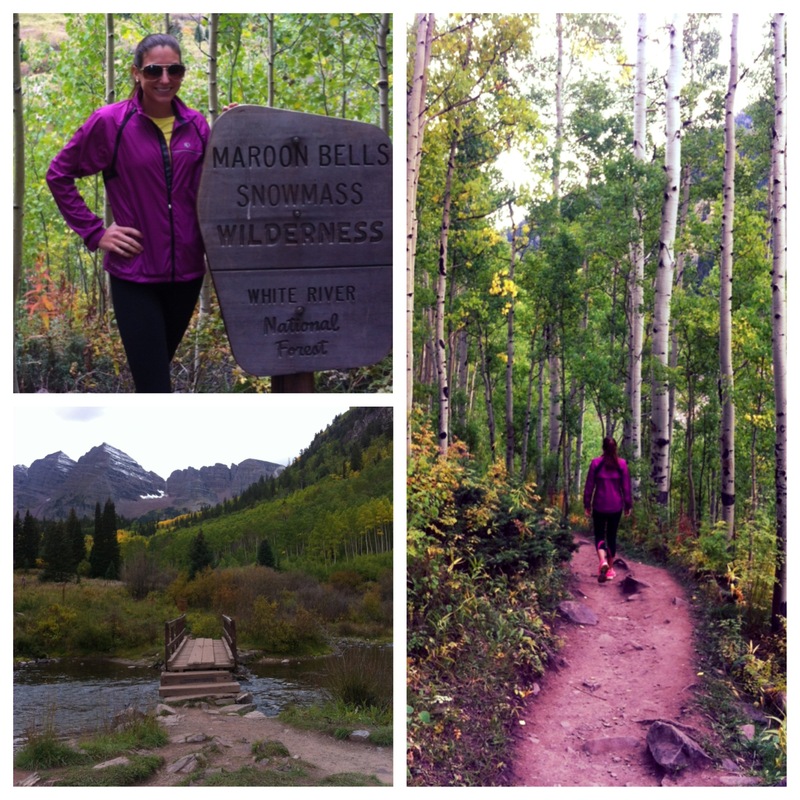 I got to tour the Maroon Bells which is one of the most amazingly beautiful places I’ve ever seen. The air is crisp, trees lush, water crystal clear and mountains enormous. On the way up to the lake around Maroon Bells, I took a bus where the driver gave a history of avalanches and how they form and flowers and trees of the area. There was a family of moose and the alpha male was near the lake… this means watch out according to the forest ranger. Lesson learned is never look a moose in the eyes. Apparently they are ever aggressive and if you look them in the eyes, they will attack… I googled this and didn’t find support but I’m not testing this theory. Lesson #3 – The bark of an aspen tree was once used for sunscreen… AU NATURALE!! Hold the chemical formula for sunscreen and rub the tree! Indians once used the white bark as sun protection. For those of you who are lacking in shub-ology like me, aspens have while trunks, are self trimming meaning they lose their lower limbs as new ones grow and their leaves are wispy and change colors in the fall. I was feeling a little craving for home cookin’ (you really can’t say home cookin’ without the cookin’ part). We went to Justice Snow’s and OMGosh, best sweet potato waffle fries and mac and cheese ever. Whoever said you can’t make a meal out of sides needs to try this combo. Lesson #5 -The best sunrises and sunsets might just be mountainside. There is such a dramatic difference between day and night in the mountains. It can be 80 degrees and sunny during the day and 55 and breezy at night. We slept with the windows open and smelled the fresh air… literally. Lesson #6 – Living an active life is essential to making it in Colorado. I don’t think I am generalizing here when I say there are more bikes per capita than cars. TONS of bike lanes and road and everyone is cycle-conscious. I love it! Lesson #7 – Ski slopes are better in the summer. Period. 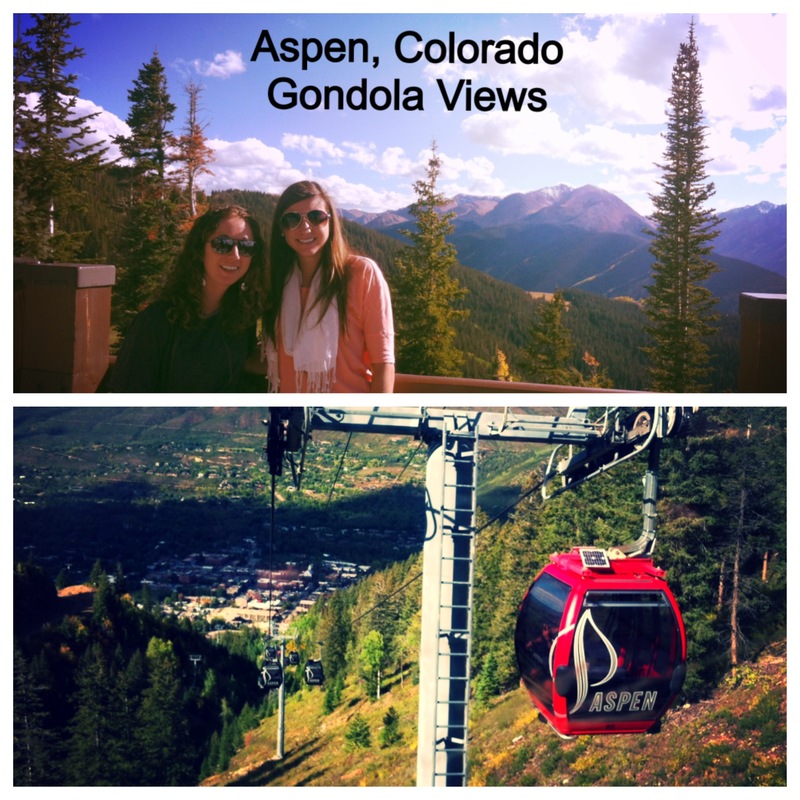 I took a ride in the Aspen Gondola and I think I overused the phrase “this.is.awe-some.” At the top of the Gondola, you could see all around the mountain. During the winter, this view would be slightly blocked by snow, overcast or foggy goggles. But not today! Today the sky was clear and I could see for miles! The trees were starting to change and were breathtaking. My pictures don’t do this justice. Aspen is amazing. 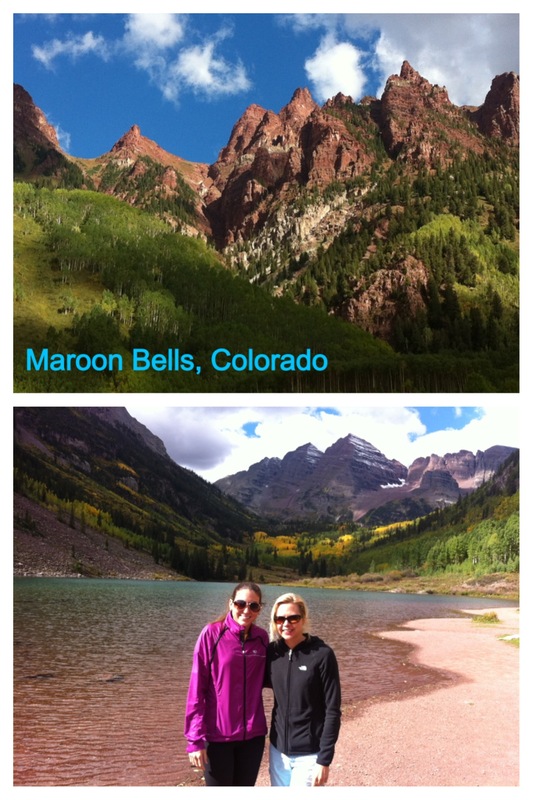 I got to see The Power of Four – Aspen, Aspen Highlands, Snowmass and Buttermilk on my weekend stay. The trees were starting to change and I LOVED LOVED every part. I might be trading in my ski boots for hiking boots…. What’s your favorite city? What time a year do you love nature the most?